Blackberry is not the most popular among mobile phone users, but still a large number of population relies on blackberry apps and enterprise apps for it, due to its security feature. The business-friendly features and multi-tasking capabilities of Blackberry smartphones has elevated its stature not just to that of an indispensable productivity nerve center but also to a business companion that is easy to use, simple to navigate, and a breeze to upgrade. It is no wonder that Blackberry is the undisputed choice for top industry leaders, heads of state and political bigwigs around the world. At Ink Web Solutions, Blackberry application development, especially at the enterprise level, has always been serious business because of our many years of development experience with the Blackberry platform. AS early adopters of the technology, our engineers and developers are poised to bring to you mobile solutions that are not only designed to address your business challenges at the enterprise level, but also for use by millions around the world who love the Blackberry simply for Blackberry's sake. To put it simply, Blackberry app development comes to us naturally and our engineers are standing by to prove it to you. Chandigarh's Leading BlackBerry Application Development Company ! 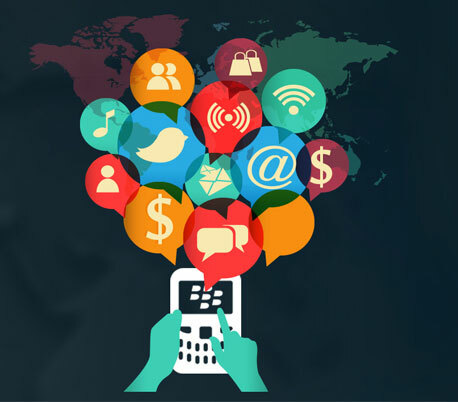 Ink Web Solution provides BlackBerry Application Development services in Chandigarh, Mohali, Himachal Pradesh and India. Our experienced and proficient team of Blackberry app developers build robust and scalable Blackberry mobile apps with all the advanced features that are supported by multiple versions of Blackberry platform.